We are pleased to announce that our supplier partner, a leading producer of anti-corrosion ventilation for laboratories, SEAT Ventilation, now boasts over 50 years of experience. 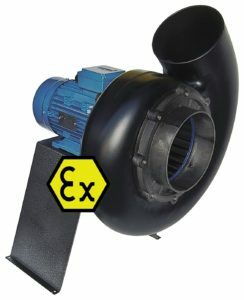 Founded in 1968 and based near Toulouse, the company is one of the world’s leading manufacturers of polypropylene anti-corrosion fans. Resistant to toxic or corrosive environments, as well as potentially explosive atmospheres, these products are mainly used in laboratories, chemical, pharmaceutical, water treatment, hospitals and universities (see our guide on Understanding Fume Extraction Systems & Components). SEAT Ventilation also offers solutions for the control and regulation of laboratory ventilation. Their experienced team provides solutions for national and international customers. Founded in 1968 by Bernard Chapel, SEAT Ventilation started out as a plastic boiler manufacturer based in the Paris region. Jean-Luc Chapel, son of Bernard, joined the company at the age of 22 and continued the family adventure. In 1988, the new range of SEAT fans with a unique and colourful design was launched. The establishment in 1999 of a subsidiary on the American market, PLASTEC Ventilation, boosted the number of orders. In 2005, SEAT moved to the Occitanie region of France in order to double production space. This enabled growth of stock levels and facilitated the delivery of products to customers within 48 hours. In 2017, the group saw its expansion accelerate. At the end of the year, the Ciclad investment fund and the new CEO, Jean-Jacques Gaudiot, decided to jointly invest in the takeover of SEAT Ventilation and its American subsidiary, PLASTEC Ventilation. Confident in the group’s growth prospects, Jean-Luc Chapel and Claude Bertaux, the historic shareholders, reinvested in the new project while ensuring a period of transition and operational support. This new team will enable the group to ensure continuity with all its economic partners, particularly its employees, customers and suppliers. They will drive the company to enter a new stage of its development, whilst continuing to expand internationally and remain attentive to possible external growth operations. The companies SEAT Ventilation and PLASTEC Ventilation currently cover more than 80 countries in the world, on the five continents, and its 456 customers, companies of all sizes, are in the fields of laboratory, chemical industries, water treatment, hospitals, surface treatment, colleges and universities. The SEAT Ventilation Group supplies the largest number of public and private laboratories. More than 45,000 products are sold each year. Technical knowledge: customers can rely on a team of engineers and technicians specialising in aerodynamics to help them select the equipment best suited to the expected application. Reactivity: establish and maintain a close relationship with each client; excel in the quality of service; respond quickly to requests propose adapted solutions and fulfil orders as soon as possible. Competitiveness: optimise and accelerate processes while reducing costs without ever losing sight of the quality requirements of customers. Innovation: continuously improve products and develop new ones to offer a complete solution tailored to customer needs. The core business of the company is anti-corrosion ventilation for laboratories. SEAT Ventilation is the French leader and one of the world’s leading manufacturers of anti-corrosive fans, perfectly adapted in laboratories or industries. Constructed of polypropylene with a compact one-piece volute, part of the fume cupboards, SEAT fans are ultra-resistant to corrosion. They are also available in ATEX Zone II, Category 3 Gas (see our guide on Understanding ATEX Zones for Gas and Dust). SEAT Series: application in laboratories and most industrial extractions. Simple to install, small footprint, it has good rates / pressures for a device of this size. Withstands temperatures of 60°C. Made of recyclable polypropylene with anti-UV treatment. STORM series: Medium pressure fan for storage cabinet type application, washing towers, sensors or filter boxes. Resistant to T° 60°C. Constructed of recyclable polypropylene and anti-UV treated. SEAT guarantees its fans, products and components, used in operating conditions appropriate to the materials, two years after shipment. The “L. Solution” controllers of SEAT are electronic products designed for the safety of fume cupboards in the laboratory. L. Solution is a concept that allows to choose the most suitable system for the safety and management of laboratory units. Ensuring the safety of fume cupboard users is its main objective. A variable flow fume hood with an automatic control system achieves considerable energy savings of more than 60%, while ensuring the highest level of safety. The controllers, manufactured in France, are simple to install and use and do not require commissioning of the manufacturer (see our article on How to Save Energy using Inverters to Control Speed). 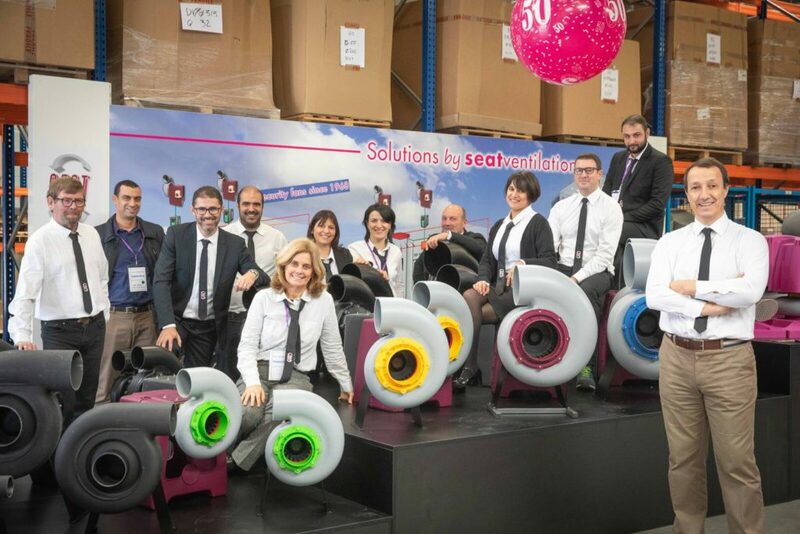 With 50 years of experience, the SEAT Ventilation Group continues to develop products adapted to the constantly evolving needs of its customers. This entry was posted on Tuesday, February 5th, 2019 at 10:38 am and is filed under Products, Suppliers. You can follow any responses to this entry through the RSS 2.0 feed. Both comments and pings are currently closed.